The copies of the recently reached amended Tentative Agreement have been posted on the District Lodge 142 website which can be found at www.iamdl142.org. Once there, you will find one shorter copy that contains just the changes to Article 10.H. (only) and Article 25 (All) and a second copy that contains the entire amended Tentative Agreement. The District office will begin printing copies that should be in the mail to the Maintenance Bases no later than March 16. If you received a complete copy of the first Tentative Agreement, you will only be receiving the amended shorter copy this time. 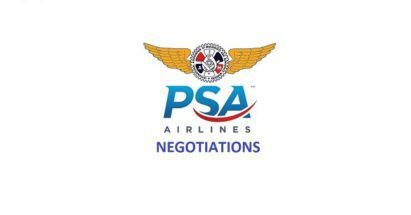 If you were hired after the last ratification took place, a copy of the entire amended Tentative Agreement will be sent to your Maintenance Base. We are planning on those copies being available at the bases no later than March 19. Your Negotiating Committee member from your Maintenance Base will have the copies available once they are received. Information concerning the ratification process will be released early next week once the plans are finalized. Your Negotiating Committee worked conscientiously to place you at the top of the industry via this Agreement and asks for your support. This Committee also unanimously recommends a YES vote on this Tentative Agreement. Your patience and solidarity have been instrumental in reaching this Agreement that you deserve.